Recently I unpacked a box of things that had been in storage for a while, and uncovered my FIRST Travel Diary. 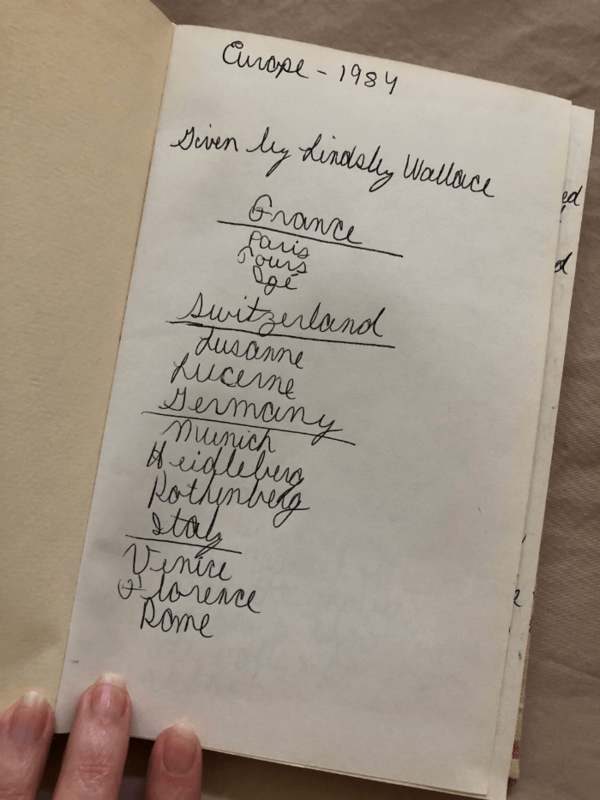 You see kids, back in the day, pen and paper were an actual thing, and when my family took our first big European trip in 1984, I documented the day’s activities in my Travel Diary. Join me on a little jaunt into the past….. Sometimes is pays to be part of a family that never throws a single thing away. I was stunned when I found this Travel Diary. 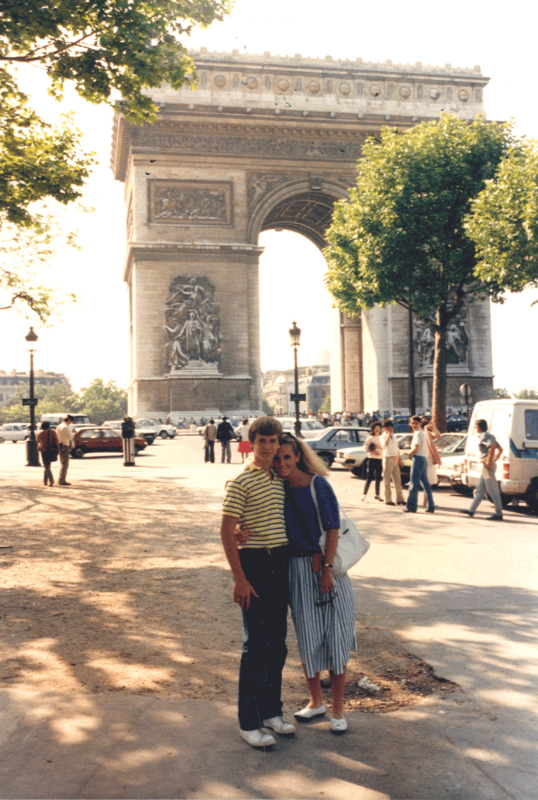 It was the summer between my Sophomore and Junior years in high school, and my mom planned this EPIC trip, taking us to Europe for five weeks. Can you imagine dragging your teenage kids to Europe for five whole weeks, in the time-before-cell phones…where you actually had to TALK to each other? 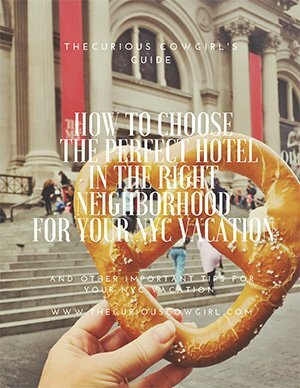 I’m sure this experience in my childhood is why I’m such a big fan of traveling with your kids, as I discussed in this post. I have a million funny stories from this trip, which I won’t bore you with, but the bonding that happened with my family on trips like this one, keeps us close and strong to this day! I was able to find these pictures easily, because my mother gave me and my brother the most AMAZING gift a few years ago. She found a company that will take all your old photos, scan them, and then save them on an external hard drive. I don’t have all my family pictures, but I bet I have 50% of them digitally. How awesome is that? Highly recommend!!! I took the time to read through my Travel Diary, and cracked up at the perspective of a teenager in Europe for the first time. There was very little mention of the art we were seeing “we went to the Louvre today and saw some cool art”. Insert giant Adult Me eye-roll. But, there were numerous long descriptions of cute boys I would spy along the way. Lordy. Teenagers. But, what I did document well (besides the boys) were a number of incredible experiences we had together. Like the visit to the French Goat Cheese farm, where we climbed down a ladder to a cold basement to try the cheese, straight off the farmer’s knife. Or my first taste of gelato, which you all know from this post and this post, I’m a big fan of today! I also cried laughing at the Travel Diary entry describing the day we had to load our HUGE AMERICAN OVERSTUFFED SUITCASES on the train…via the WINDOW, because they would not fit through the doorway. Yes, my family single-handedly established and reinforced for all time the Ugly American stereotype that day….you’re welcome! I’m also amazed at the complete perfection and organization of my mom’s travel planning. 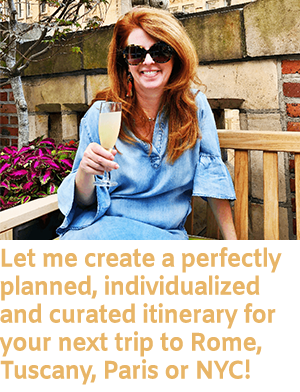 Clearly, travel planning is in my genes, and I love a well-organized travel plan as I wrote about in this post, and now enjoy creating individualized curated travel plans for clients. But my mom….planned 35 days of very detailed travel, through four countries, without the internets. LOL! You go girl! My final entry in my Travel Diary is this: “Today was our final night in Italy. 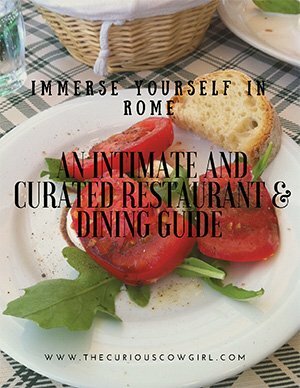 We enjoyed an excellent dinner, and then as we were walking to the Spanish Steps for one last look, we realized that there were huge crowds waving Italian flags and yelling at the top of their lungs. We asked another American what was going on, and he said the Italians had just won the World Cup. I have no idea what that is, but it must be a big deal over here.” OMG….hahahaha. Now in my 50th year of life, I do know what the World Cup is, I’m all about the art in the museums, I love an excellent meal, and I still keep a Travel Diary….you are reading it! Thank you for being on this journey with me! Now…where should we go next???? Where do I being??? Mary, this post is GOLDEN! 1984 is everything fashion and hair wise. I love that your journal entry reflects first and foremost your “Denton family problem of having to share hot rollers”. THANK YOU for sharing this treasure! I am cracking up that you caught that! Yup….hot rollers sister. Hauled them all over Europe. Big Hair…don’t Care! Because, you know… who would want to miss a day of big hair. How many electric converters did y’all have??? Lordy…amazing that we didn’t short out electricity all over Europe!!!! This is so awesome!! LOVE the pics and I remember your striped coral/white outfit!! Love the flashback! OMG…that’s so funny! It was one of my favorite outfits! I absolutely LOVE this story! 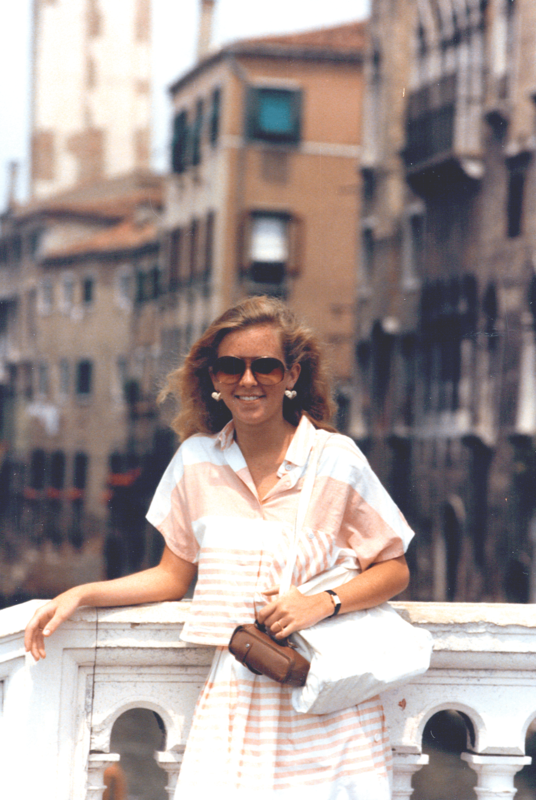 Your mom was quite the trailblazer and so brave planning a 35 day trip with two teens across Europe. I know you can appreciate it all now. Thank you for sharing. Aww it must have been so nostalgic going through it! And that digital process for the photos is a really good idea! I should ask my parents to do the same! I need to add more pictures….just finding the time to scan is a challenge!!!! Great blog on Mary Elizabeth’s 1st European adventure!! Rollers! You had to share rollers so that you both had perfect, big, Texas hair! That almost made me cry. Your mom is amazing and she is incredibly organized. I remember being in your room once when you were at Vanderbilt and I was amazed that the entire room looked like a museum display…everything as you left it and everything had a story. I was schooled in what many of the items represented or when you had acquired them. Now you have travel logs for a new display. I love your blog but this one was truly touching. Wishing you the best…. Awwwww….love you J! Thank you!!!! OMG….MOM! I totally forgot about that! HAHAHAHA!!!!! Really fabulous photography. Traveling Europe is my goal in life to see the old architecture and all of the cities with all the history. Wow!! This is amazing! What a priceless memory to discover. I was cracking up about the “cute boy descriptions” because yes. Teenagers! Ha! What a wonderful, wonderful way to visit the past. Right???? Why pay attention to art, when there’s cute boys around?! Love these old family photos for sure!!!! I love these photos! Sometimes I wish we still didn’t have cell phones or social media and could just have things simpler! Love everything about this post. Awwwww, thank you so much Madeline! What a treasure! 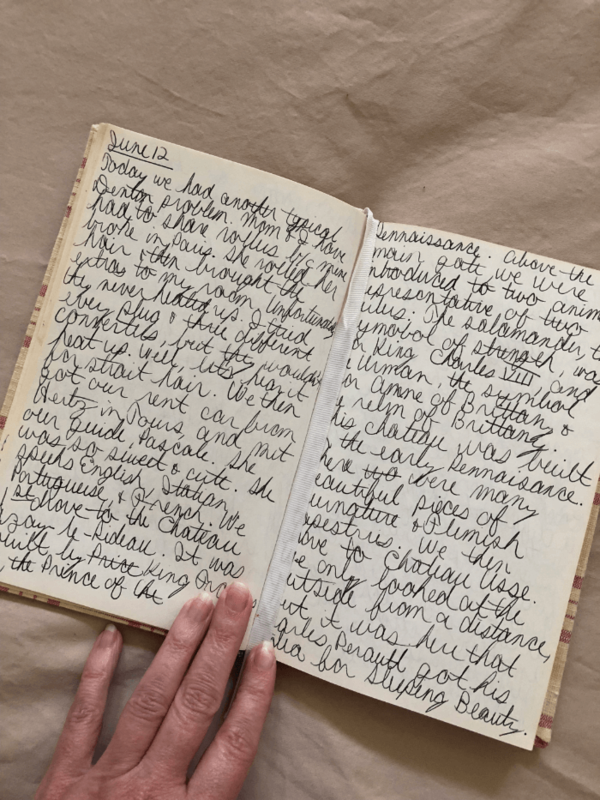 I still have my diary from my first trip (somewhere – I think at my mom’s house)! This is a nice memento! Hang onto it! Such fun memories! The year I was born! What an incredible era! Loved this shots!